Three years after Narendra Modi-led NDA government came to power, India witnesses unprecedented level of low food inflation. States like Maharashtra and Madhya Pradesh have been witnessing farmers’ unrest for quite some time now. Six farmers were killed in police firing in a protest rally held in Mandsaur district of Madhya Pradesh to demand fair price of their produce and farm loan waiver. On the one hand, middle-class celebrates one of the lowest food inflation rates, and on the other hand farmers get nothing in return of their toil and get killed for demanding fair price of their produce. Analysis shows that low food inflation is directly proportional to fair price of produces in the market. As food inflation witnesses a sharp decline, so is the price of produces in agriculture market across the country. India had witnessed food inflation rate of 8.35 per cent in July 2016. Since then there has been sharp decline in food inflation rate. Meanwhile, there has been sharp decline in commodity prices, too, which has been fueling farmers’ unrest across the country. Food inflation fell to 0.53 per cent in January 2017 as compared to 1.37 per cent in December 2016. It was the demonetisation era when 86 per cent of high-denomination currency was rendered invalid in a day. 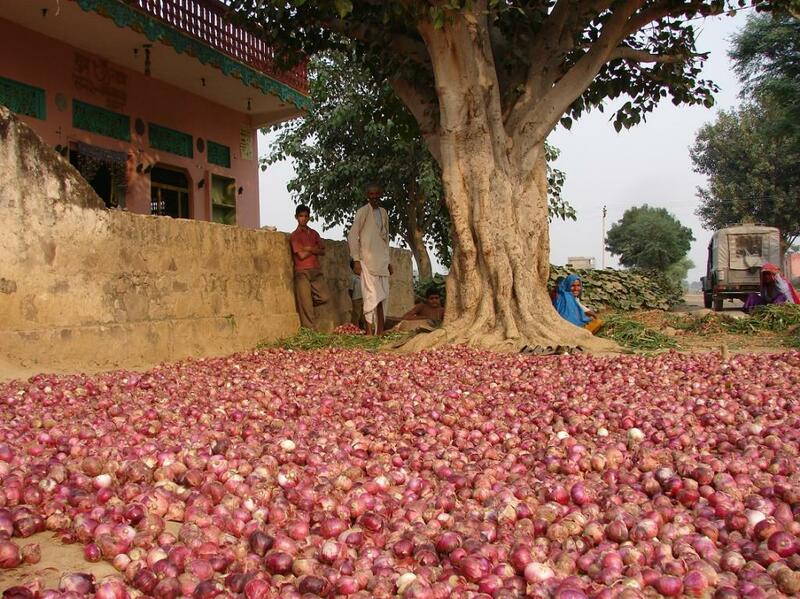 The demand-supply scenario turned against farmers as people didn’t have cash to buy their fast perishing farm produce. Hence, prices of some vegetables plummeted by 60 per cent between July 2016 and April 2017, further aggravating agrarian crisis. The average price of onion has dropped by 21 per cent, potato dropped by 60 per cent, tomato dropped by 55 per cent and garlic’s price dipped by 50 per cent since July 2016. (See tables below). Prices of pulses like pigeon peas dipped by more than 40 per cent in different markets across the country. If monsoon is bad then problem,if monsoon is good then problem. You are rightly pointed out Dahmendra Ji. There is no cohesion between our policy and reality. For example: When farmers are asking for fair price to their produces then government is providing recharge coupon to their mobile. When farmers are asking for loan waivers then government is distributing soil health card..